Humana, Mango and El Tinter are collaborating entities which publish three SIDICO (Internal Discussion Sessions and Knowledge) presented today by the Commission of Economy and Sustainability Col • legi d'Economists of Catalonia. 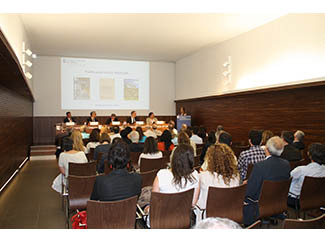 The presentation ceremony was attended by the Dean of the Col • legi d'Economists of Catalonia (CEC), Joan B. Casas; Director of Corporate Social Responsibility of Mango, Xavier Carbonell; Angel Panyella, director of El Tinter; Dr. Joan Trullen, Professor of Applied Economics at the Universitat Autònoma de Barcelona, ? ?as rapporteur; and Jesper Wohlert, general coordinator of Humana. Also have attended the worlds of politics, academia and companies. The SIDICOS up a series of works focused on the following topics: rail, CSR policies and impacts on the income statement, and sustainability and competitiveness in the field of energy and energy efficiency. 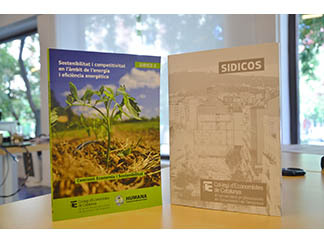 These publications, the result of a series of discussion sessions under the Commission of Economy and Sustainability Col • legi d'Economists of Catalonia, aim to train the members of the Commission on issues of environmental and social sustainability, subsequently transfer their knowledge to other economists and society in general. Joan B. Casas has been commissioned to present the first study on rail freight corridor Mediterranean. 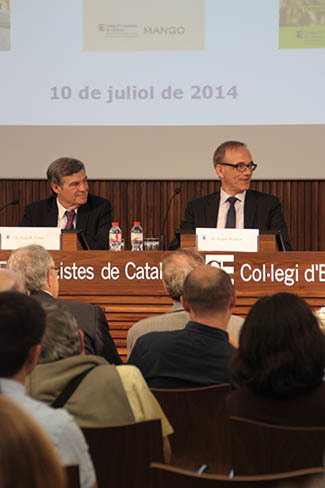 Xavier Carbonell, meanwhile, has introduced the second study focused on the economic aspects of CSR policies. The presentation of the third SIDICO, focused on sustainability and competitiveness in the field of energy, has been borne by Jesper Wohlert. The general coordinator of Humana recalled that "we can not see the development in the South without guarantee its citizens access to power," adding that "Access to energy is a field full of challenges and opportunities that need a comprehensive approach, involving also civil society". Finally, Angel Panyella responsible for and in charge of El Tinter editing the SIDICOS, said that from his press have worked to make editing a sustainable publishing these studies, consistent with the contents thereof. The SIDICO "Sustainability and competitiveness in the field of energy and energy efficiency", begins with a foreword by Elisabeth Molnar, General Manager of the Foundation. Molnar emphasizes the role of energy as central to global sustainability: "Without energy development is not possible. That is why our commitment to this growing every day, transforming the energy efficiency and sustainability in one of the pillars of our business", she says.